The Nevada Dual Motor Rise And Recline Armchair. 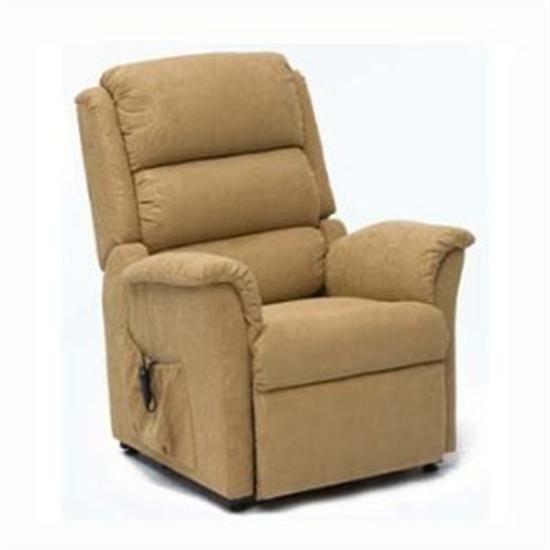 The Nevada electric recliner is stylish, comfortable, and functional as well. 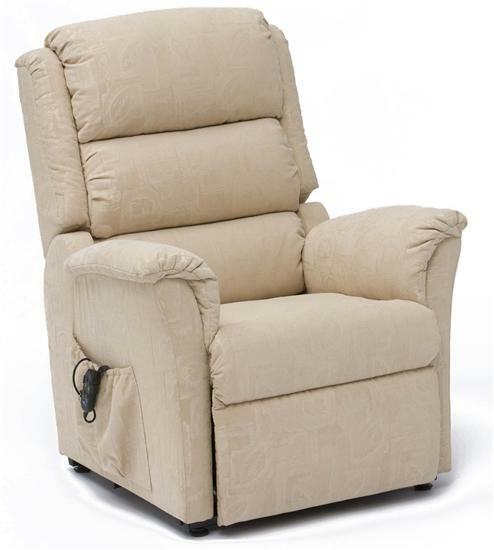 The back and leg rests can be positioned independently for maximum comfort and utility when sitting or reclining. The maximum recline position is great for catching a quick nap. When you want to stand, the lifting action will ease you safely and gently back onto your feet. All the motors are hidden from view so the Nevada looks just like an ordinary comfy armchair when not in use. The subtle style will go well with almost any living room furniture and this lovely electric recliner is available in four colours- beige, soft gold, green, and terracotta. The hand controller is simple and easy to use, designed to meet the needs of the disabled and those who suffer from arthritis and other conditions that can be eased with an electric rise and recline chair. Service is very important to us, so we won't just deliver a Nevada recliner chair to your door. We'll also set it up in place, make sure it's working perfectly, show you how to use it, and take the packaging away with us- no mess, no fuss, just a beautiful new Nevada electric recliner. Please note that your rise and recline chair will be delivered by a qualified engineer with prior arrangement who will unbox the chair, fully demonstrate it and dispose of all the packaging.